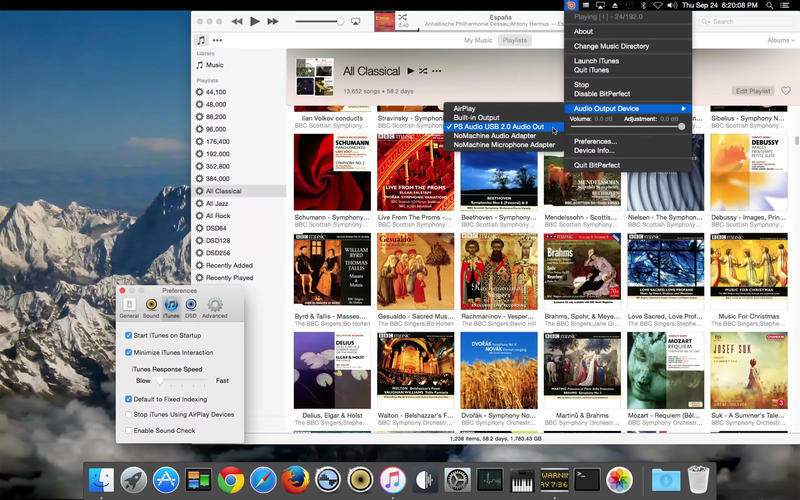 BitPerfect is a simple, easy-to-use, audiophile-grade music player that works in conjunction with iTunes to deliver the highest possible sound quality. Localization included in Japanese, French, Dutch, Danish, and Russian only. Plays native DSD files in "Hybrid-DSD" format with DSD-compatible DACs. Companion product "DSD Master" required to generate "Hybrid-DSD" files. Full memory playback with double-buffering to ensure continuous playback of large files. Dithered bit-depth reduction and volume control. Integer Mode playback - on supported DACs and supported versions of OS X (currently only OS X 10.9). Support for AirPlay (requires OS X 10.8 or later).